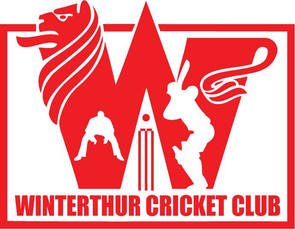 Winterthur's challenge for a qualification spot in this year's CSPL campaign dramatically improved when they beat Power by 74 runs to move into 2nd place in the CSPL Eastern Division. This could be the CSPL game to date to receive most attention as it was equally important for both of the teams, WCC and Power CC, two teams that are equally competitive. The WCC captain won the toss (as usual) and elected to bat first with hope of piling up a 220 par score to put the pressure on Power CC batting line up in the second innings. New face of WCC, Cheema and Sohaib opened the inning. They started well punishing bad balls and not forgetting to rotate the strike. Cheema looked good from the beginning, smashed a few sixes for their 54 runs opening partnership while Sohaib (15) supporting him from other end. Prafull, Sahan and Kasun all three fell in their slow bowling trap in same over in a moment when Cheema was seeking for a supporting role from other end. WCC score board was read as 95-4 when Pradeep(1 8) went in, he played a gem of an innings while Cheema was on fire, dispatching Power CC bowlers all around the ground. 56 runs partnership was broken when Cheema (99) got out unfortunately just one run short of his maiden WCC century for this season while trying back-to-back sixes. WCC was in crucial situation again when Pradeep got out in the same over, score was read 156-6. Then came in Mohamed (30) and Rod (41), built a brilliant partnership of 55 runs to bring WCC to a comfortable position. It is amazing how they did it; Rod absorbed the pressure by taking singles and Mohamed put the pressure back on bowlers by playing his beautiful shots over mid-wicket. In the later overs Adam (14) displayed his batting power hitting consecutive sixes. WCC were in a demanding position at the end of their 40 overs scoring 248-9 thanks to three 50+ partnerships and match winning innings of Cheema. WCC started bowling over the comfort which batting department put on, leaked few quick runs in first few overs as Power CC batsmen tried to stretch their arms knowing the huge target they have to chase. Sohaib (8 overs 3 wickets for 52 runs) managed to send both their openers off the ground and took another wicket in his second spell at the later part of the inning. Sahan bowled some unplayable deliveries to get their main two strikers (Sajid & Hasan) out in two consecutive deliveries, which was the turning point of the second inning. Cheema (6 overs 2 wickets for 18 runs) bowled with discipline in middle overs to move oppositions more away from the target. Shijo was brought in after break to put more pressure on Power CC, He bowled a fiery spell to finish the game taking 2 wickets for 13 runs in his 4.3 overs. All the 11 put their best in the fielding to grab a most important win, which can effect massively for their future in CSPL 2018.